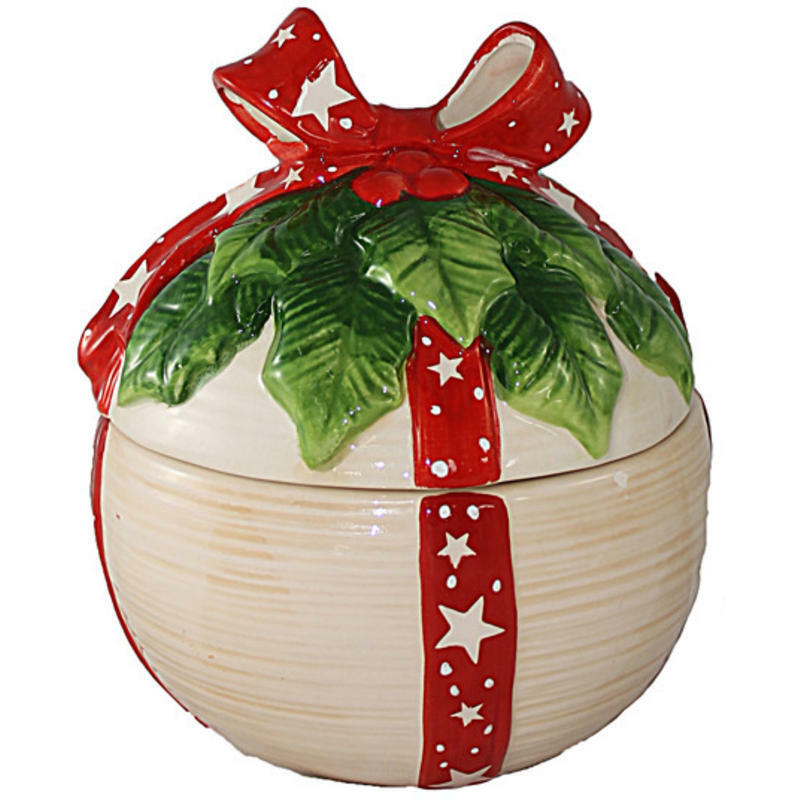 Not all Christmas baubles need to be hung on your tree- this Ball Shape Candy Bowl with Lid is a perfect example! 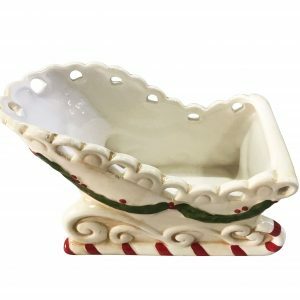 Measuring approximately 15cm wide by 18cm high, this two-piece ceramic candy dish is a swell holiday accent and an even better gift to share with someone else! Give this to a teacher, boss, or co-worker and fill the generous-sized cavity with their favourite treats! 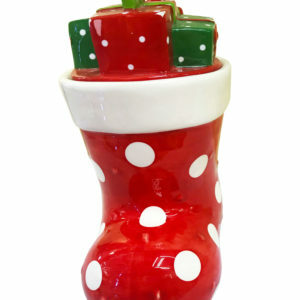 Share with children or siblings, and fill it with trinkets, coins, or toys that will surprise, delight, and suit the intended recipient. 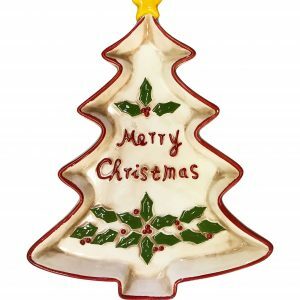 Crafted in a natural-tone ceramic with red, green, and white accents, this lovely ceramic dish can be used for so many things. 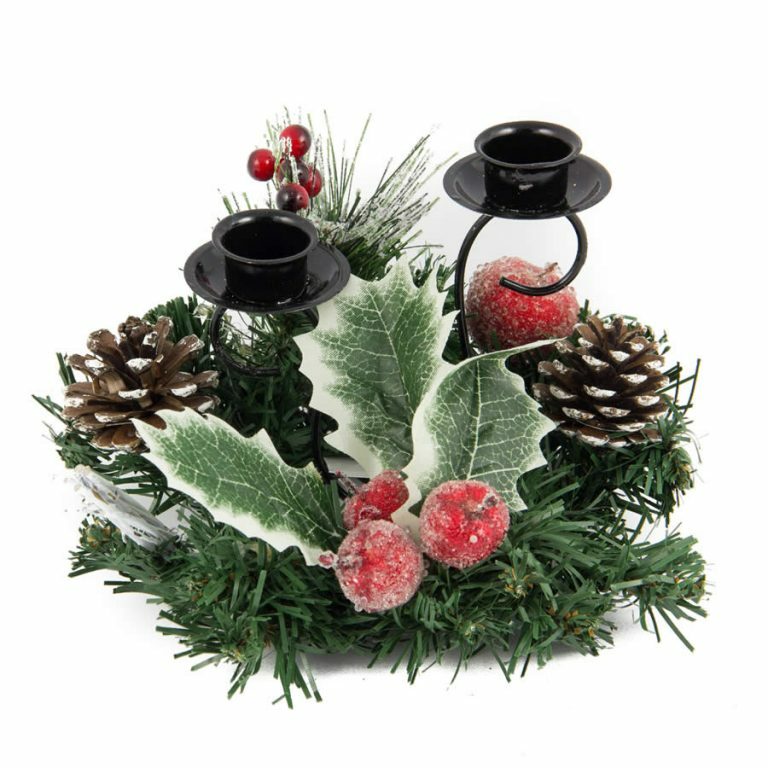 These would be splendid to use on a counter or desk during the holidays to contain small items, such as jewellery or office supplies. Keep it full of mints or candy, and see how many co-workers visit your workspace every day!